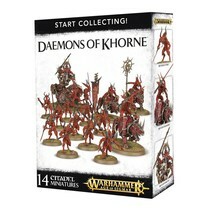 De Daemons of Nurgle Collecting box set met 17 Citadel miniaturen voor Games Workshop's Age of Sigmar miniaturenspel. 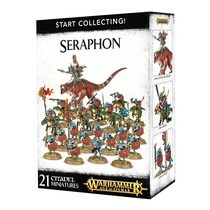 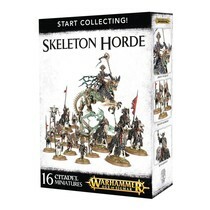 De Deathrattle Skeleton Horde Start Collecting box set met 16 Citadel miniaturen voor Games Workshop's Age of Sigmar miniaturenspel. 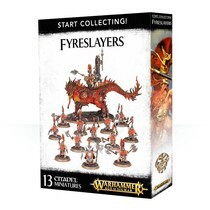 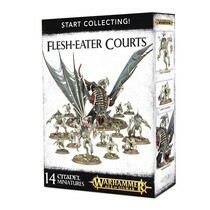 De Flesh-Eater Courts Start Collecting box set met 14 Citadel miniaturen voor Games Workshop's Age of Sigmar miniaturenspel. 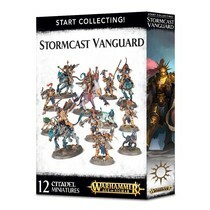 De Flesh-Eater Courts Nightfeast Hunters Start Collecting box set met 23 Citadel miniaturen voor Games Workshop's Age of Sigmar miniaturenspel. 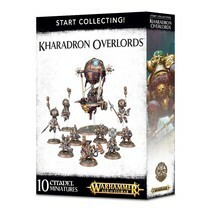 De Duardin Kharadron Overlords Start Collecting box set met 10 Citadel miniaturen voor Games Workshop's Age of Sigmar miniaturenspel. 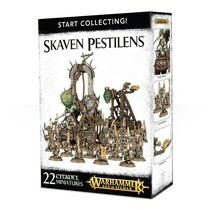 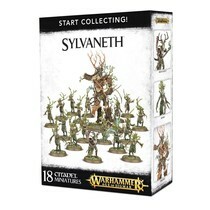 De Sylvaneth Start Collecting box set met 18 Citadel miniaturen voor Games Workshop's Age of Sigmar miniaturenspel.